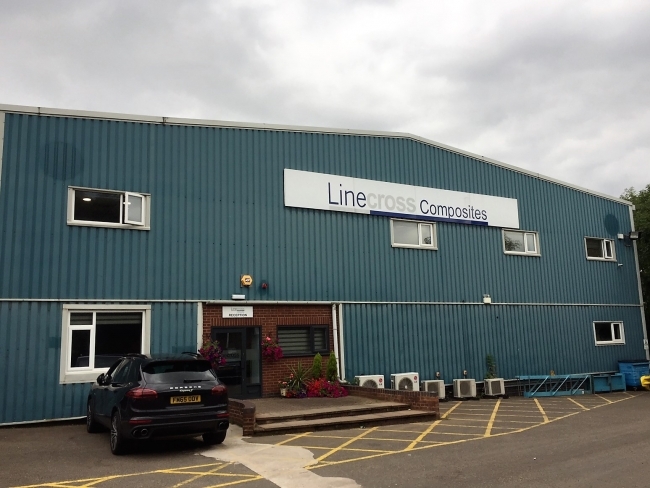 Cannock-based Linecross Composites, one of the Midlands’ leading manufacturers of engineered thermoformed and polyurethane components, has embarked on another phase of expansion with continued investment in its Bridgtown site and the creation of a number of new jobs. The company, which was formed in 2012 when parent company Linecross Ltd bought its competitor BI composites out of administration, has carried out a number of significant improvements to the infrastructure of the site on Green Lane. An investment of around £1.7m has been made in new plant and equipment and on the reorganisation of the manufacturing facility in order to provide additional capacity and improve efficiencies still further. In addition, Linecross has purchased two new injection moulding machines with clamp forces of 2300 and 900 tonnes which will provide the ability to mould large automotive interior parts. Ancillary equipment to support these machines include a new 16-tonne lift capacity crane for tool movements, robotic handling systems to remove moulded parts from the machines and an ultrasonic welding robot to support assembly operations. Broadening its process offering will enable to the firm to produce lower weight products, which will open up a number of new markets. The company has also recently worked with one major customer to complete the relocation of a moulding and assembly cell, which will deliver productivity improvements and reduce non value-added movement of parts around the factory. A number of customer-focused events are being staged later this year to bring people up-to-date with the current Linecross Composites, which has been transformed since its acquisition by Linecross in December 2012. Linecross provides clients in the automotive, leisure and speciality industries with a full design and manufacturing service – from initial design to ‘just in time’ supply direct to trackside. The company’s varied client base includes household names – from luxury car makers Bentley and Aston Martin, to JCB, London Taxis and caravan manufacturers Swift Group and Coachman. A range of innovative technologies are now utilised at the Cannock site, including injection moulding and soft foam PU, which has enabled the company to diversify into new areas. According to chairman David Austin, innovation remains the watchword for the business going forward: “We are delighted with the success of the Cannock site over the past five years. We have a bright, dedicated team in place here in the West Midlands and have established a culture of collaborative partnerships with our customers and other industry specialists, which has enabled us to support many iconic, global brands. The Linecross Group, which now comprises Linecross Ltd and Linecross Composites, is celebrating its 50th anniversary in 2017. During this time, it has grown from a microbusiness with just two employees, to one of the industry’s leading manufacturers of bespoke engineered vacuum formed thermoplastic, polyurethane and injection moulded components, employing more than 300 staff across its two facilities in Cannock and Rutland. Group turnover topped the £27m in the last financial year and is expected to exceed £30m next year.